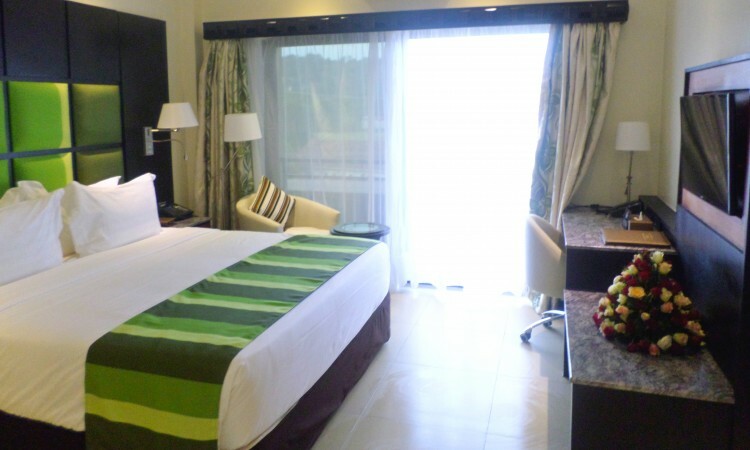 The latest 5 Star deluxe hotel in Entebbe, Uganda opens its doors. The latest addition to the hospitality industry has opened its doors with a celebration on 25th June 2016 and is ready to welcome customers from all walks of life as of 1st July 2016. With 51 tastefully decorated rooms, featuring all necessary, desired and modern amenities ranging from high speed wireless internet access, safety deposit box, coffee and tea making facilities, international multi-sockets and various UBS sockets in each room to international and local TV channels and ultra- modern bathroom amenities, the Best Western Premier Garden Hotel Entebbe is a modern, yet contemporary addition to the industry. Best Western Hotels is the largest hotel chain in the world and with this, another world brand has been brought to Uganda. The concept is Uganda’s first five star business hotel that caters for the discerning travelers for leisure and business alike. The Best Western Premier Garden Hotel Entebbe brings a five star hotel with excellent food and beverage services to the community that targets international customers, FIT, corporate travelers and fellow Ugandans alike who visit Entebbe, Uganda whether for a brief business trip, a leisurely vacation trip to this beautiful country and are seeking a five star accommodation with excellent facilities and services. The concept of the hotel with its contemporary design aims to increase Uganda’s relevance in the global tourism industry and looking at the hotel finishing, local artisans were engaged to beautify the hotel wherever possible with themes of Uganda’s natural resources and incredible beauty of the country. The Best Western Premier Entebbe is a great addition to the local economy and has started with 51 rooms in 4 distinct categories, Deluxe and Executive Rooms, Junior Suites and an Executive Suite, all situated on three floors, not surprisingly extension plans are already being made to increase the total room numbers to about 100 in the future. Serving an international cuisine and boasting a bar that leaves little to desire in an atmosphere that is second to none, the Best Western Premier Garden Hotel Entebbe opens its door with a special introductory rate for the month of July ONLY.